Let's Do Business, our organic Fairtrade coffe and your cafe. Rather than simply supply you with great coffee, we commit to being a "silent" partner in your business. This means we "buy-in" to your vision and goals you have for your business. We keep it real, we're down to earth, we like to have a good laugh and most of all, we know if you're successful, then we'll be successful! If you want to work with REAL people who really do CARE about you and your business, then let's talk. 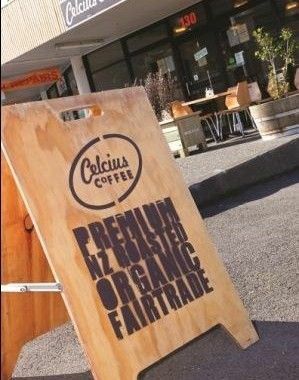 We have our established roastery in Wellington and a Wholesale Distribution depot in Motueka, Tasman (South Island); providing our customers with a reliable nationwide supply operation.